Raul Hrubisko began modelling at the age of 14. 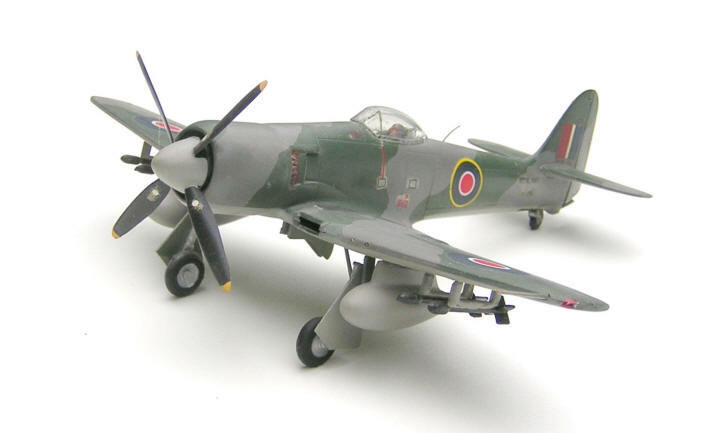 His interest, lake many other modellers', was sparked by an imaginative book, a wartime story involving the Mosquito. 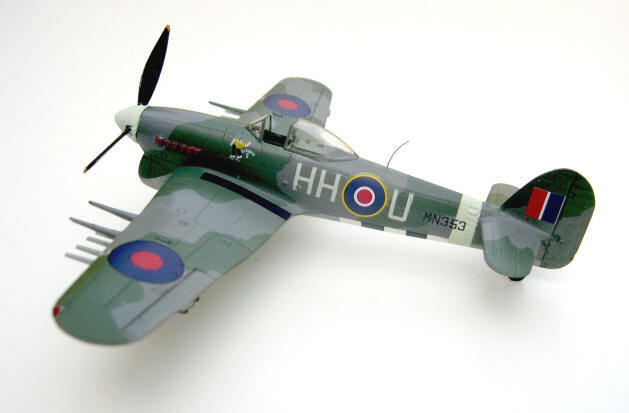 Soon followed the interest for the airplane and then for modelling. 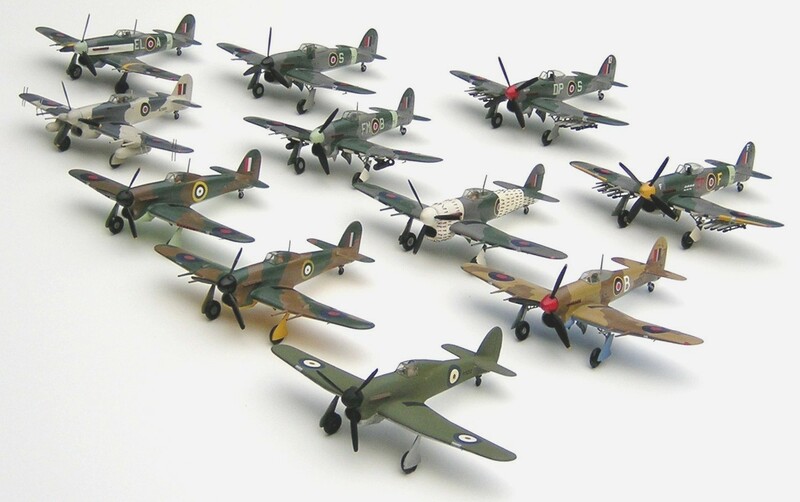 Royal Air Force aircraft of the WW2 era have remained the focal point of Rauls interest ever since. 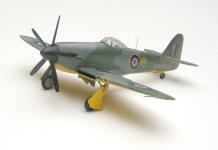 But Rauls passion for modelling lead him to some extraordinary undertakings. 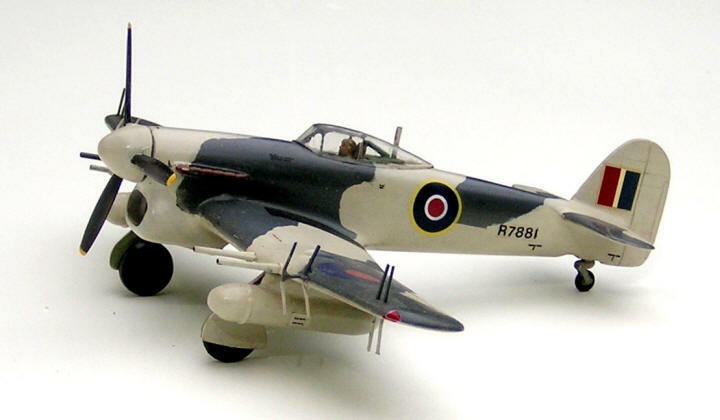 His aim is to model all the aircraft types that flew with the Royal Air Force, the Fleet Air Arm and all the Commonwealth in the time frame between 1934 and 1947, in all major versions. And to include also Lend-Lease and captured enemy types. 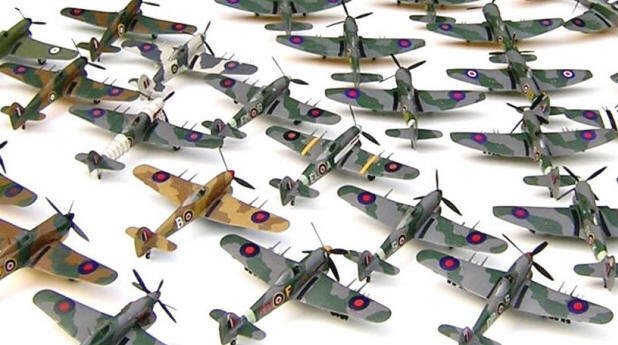 An entire Royal Air Force in miniature - an epic work which he himself estimated to about 1,000 models. 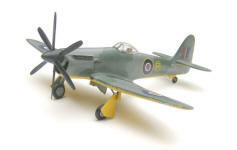 The next finished sub-collection from Rauls workshop is the Hawker Typhoon-Tornado-Tempest-Sea Fury line of fighters. 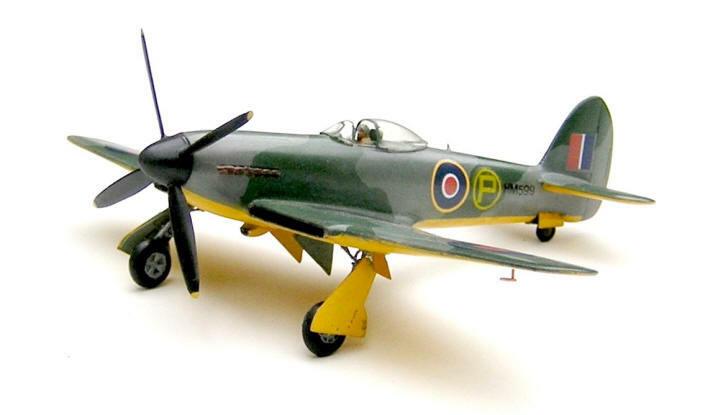 All Hawker Typhoons, from the Nivo Green prototype to late-war Mk. 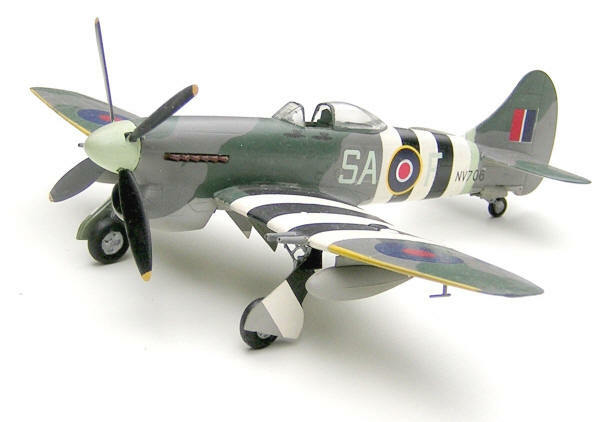 IBs. The Academy Typhoon and Tempest kits were the easiest to build of the lot, and look very good when finished. 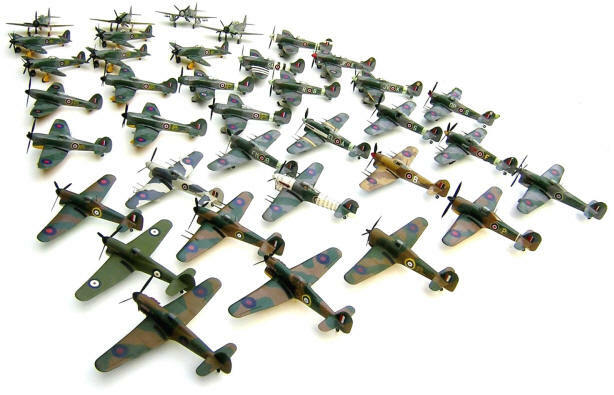 List of all models in the collection is included below. 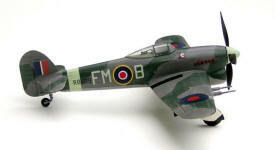 Tornado prototypes were tries with an array of different engine/radiator configurations. 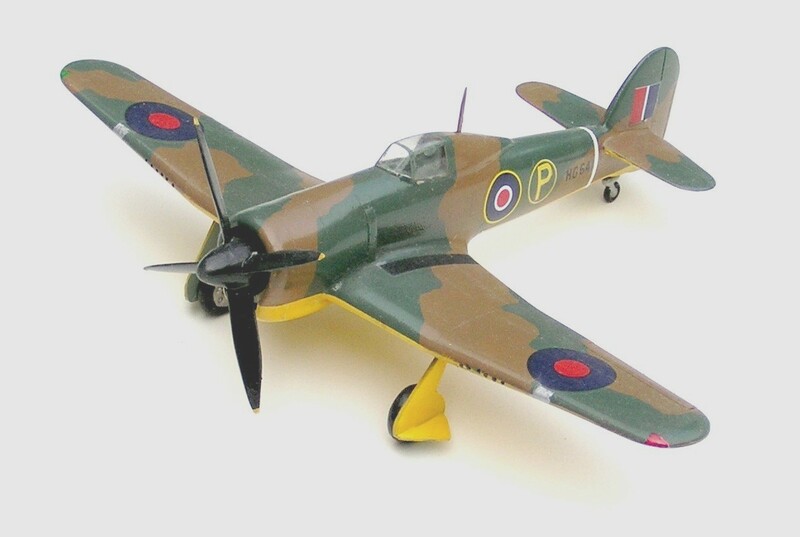 All variants required conversion from the Airfix Typhoon kit, here the 3rd Tornado prototype HG 641. Also Tempest got its share of engine experimentation, here one of the prototypes with a circular radiator á-la Fw 190D. 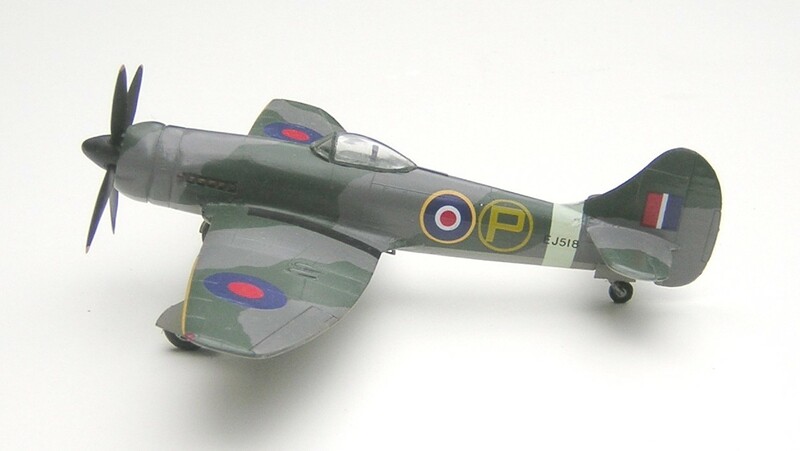 A conversion of Heller Tempest kit. © Copyright 1997-2006 by IPMS Stockholm and the Community Members. All Rights Reserved. The layout and graphics of this site, HTML and program code are © Copyright 1997-2006 Martin Waligorski. Used by permission.